FFA - MGM Resorts to fund CAIR and Southern Poverty Law Center. Click here to send your email to express concern to MGM Resorts officials regarding its plan to fund CAIR and Southern Poverty Law Center. to urge JP Morgan Chase not to fund terror-linked CAIR and the Southern Poverty Law Center's wrongful labeling of conservative organizations as hate groups. LAS VEGAS (AP) — One of the largest employers in Nevada is launching a donation match program benefiting civil rights organizations in light of the deadly Charlottesville protests. CEO Jim Murren made the announcement in a letter, saying he felt compelled to speak out against "the degradation of basic human dignity" following the deadly attacks in Charlottesville and Barcelona in recent days. MGM Resorts International owns the following properties: Bellagio, Beau Rivage, Circus Circus, Delano, Excalibur, Luxor, Mandalay Bay Resort, MGM Grand, Mirage, Monte Carlo, New York New York, The Signature and Vdara Hotel & Spa. • One of MGM Resort’s partners is located in a country that declared CAIR a terrorist organization. 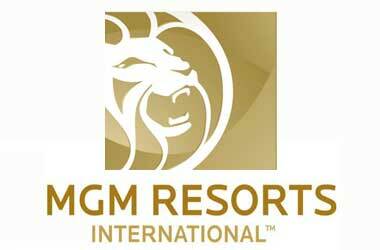 MGM Resorts is in a 50-50 partnership with Dubai World. Dubai is one of seven emirates that makes up the United Arab Emirates country. The United Arab Emirates’ ministerial cabinet listed the Council on American-Islamic Relations (CAIR) as one of 83 banned terrorist organizations on November 15, 2014. More info. • Eight former CAIR officials were sentenced to prison or deported because of their support for terrorism. • Omar Ahmad, Chairman and founder of the Council on American Islamic Relations, told a Muslim crowd "Islam isn't in America to be equal to any other faiths, but to become dominant. The Koran, the Muslim book of scripture, should be the highest authority in America, and Islam the only accepted religion on Earth." • More of terror-linked CAIR’s history and agenda is posted here. • The Southern Poverty Law Center's (SPLC) wrongful labeling of some conservative organizations as hate groups unjustly harms reputations, threatens public safety and brands their followers as hate people. Some of the organizations the SPLC wrongfully lists as hate groups include D. James Kennedy Ministries, Family Research Council, Liberty Counsel and American Family Association. The Southern Poverty Law Center wrongfully lists many more conservative organizations as hate groups. Millions of Americans belong to and support these organizations. • In 2012, the Southern Poverty Law Center’s “hate catalogue made headlines in 2012 when a domestic terrorist who carried out a politically-motivated shooting at a Christian organization, the Family Research Council (FRC), admitted he got his target list from the SPLC.” Source Judicial Watch. On August 15, 2012 Floyd Lee Corkins II, wielding a 9mm pistol along with two magazines and 50 rounds of ammunition, entered the lobby of Family Research Council's Washington, D.C. headquarters. Corkins shot an employee, 46-year-old Leonardo Johnson, in the left arm. While injured, Johnson assisted others who wrestled the gunman to the ground until police arrived and placed the gunman under arrest. During his FBI interview Corkins was asked how he chose his target. His response was "Southern Poverty Law lists anti-gay groups. I found them online". Source Wikipedia. • In 2014, under the Obama administration, the FBI cut ties with the Southern Poverty Law Center. The Department of Justice used to provide access to the hate propaganda published online by the Southern Poverty Law Center. However, the Department of Justice removed the SPJC as a reference after more than a dozen conservative organizations complained about the erroneous labeling and public safety threats that accompany it. Source Judicial Watch. • Congressman Steve Scalise and four others were gunned down in a rampage by James T. Hodgkinson who liked the Southern Poverty Law Center’s Facebook page. In 2014, the Southern Poverty Law Center repeatedly implied that Scalise associated with white supremacists and other groups the organization had deemed “hate groups,” including the Family Research Council. Source SPLC. In 2015, SPLC implied that because Scalise lives in the same state as Ku Klux Klan members, he “associated” with them. Source SPL. The Council on American Islamic Relations agenda to normalize Sharia tenets that are antithetical to the rights afforded by the Constitution of the United States is a very legitimate concern to tens of millions of American. Americans concerned about CAIR's history and agenda should not be silenced and censored in the name of political correctness and leftist bias. The Southern Poverty Law Center’s name calling and labeling is offensive and alarming to the millions of Americans who belong to and support many conservative organizations that are wrongfully listed as hate groups. SPLC’s list puts these organizations’ employees and the people who support them in a bull’s eye target for leftists’ hate and possible violence. MGM Resorts International certainly has the right to support whatever organizations it chooses. You have the same right to express your disappointment and patronize companies that do not support organizations that target conservatives with hate labels. Florida Family Association has prepared an email for you to send to express concern to MGM Resorts officials regarding its plan to fund CAIR and Southern Poverty Law Center.